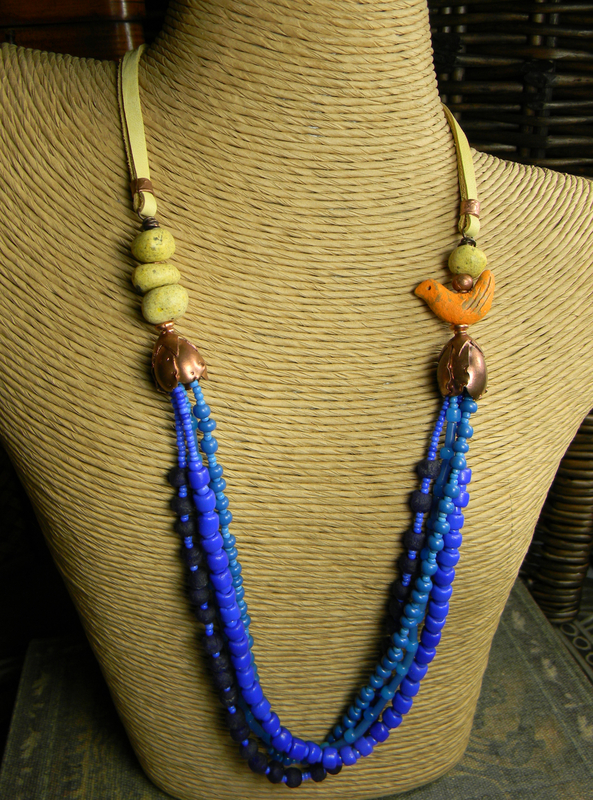 Orange Bird Multi-Strand Necklace, with 4 strands of African trade beads and Czech seed beads in shades of blue. 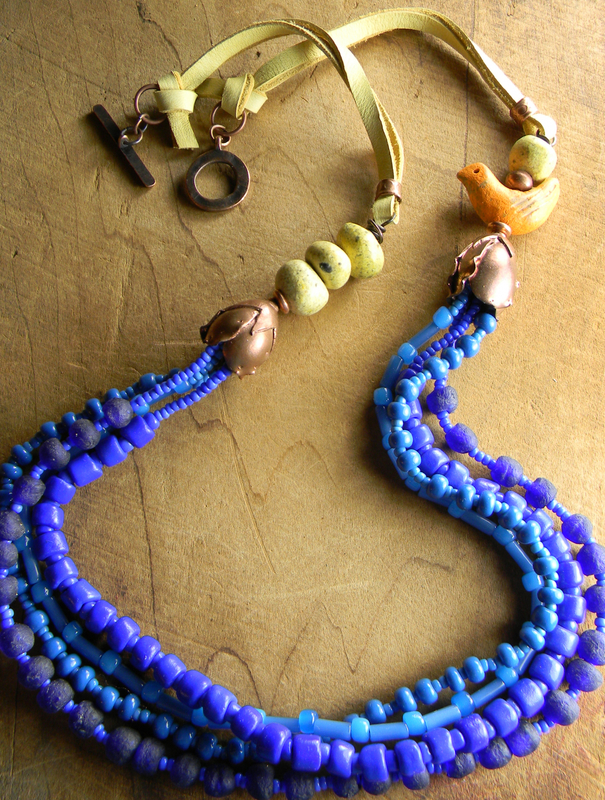 The strands are joined with handmade solid copper tulip shaped cones, Moroccan pale yellow clay beads, and a distressed orange clay bird bead. 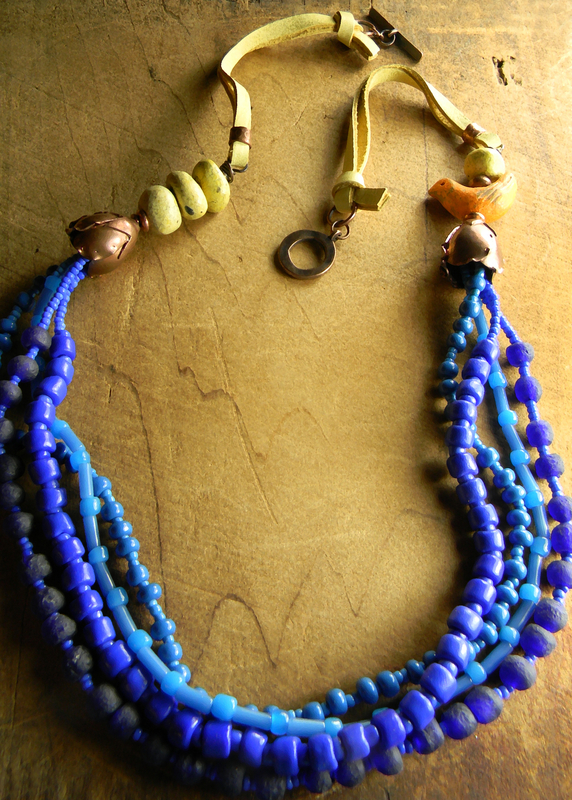 The back portion is pale yellow Greek deerskin leather lacing, copper tube beads and toggle clasp. The length of the necklace is 24 inches.